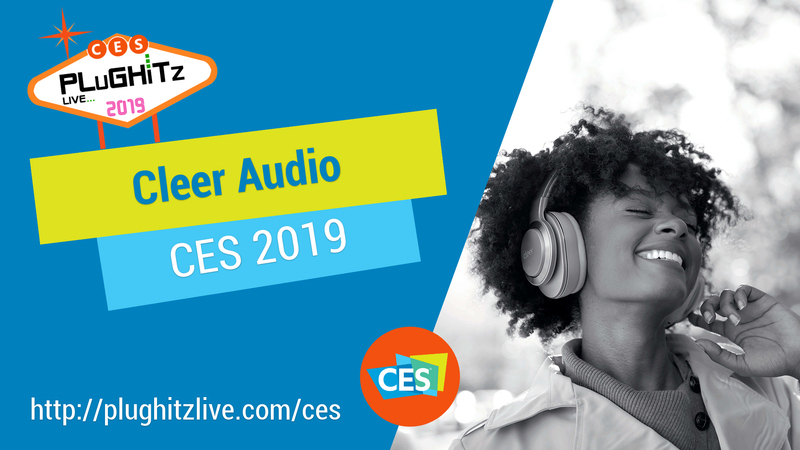 The show floor at CES has certainly gotten crowded with quality audio products. As more companies up their game in sound quality, the individual products have to differentiate themselves in new and interesting ways. One of the companies that exemplifies that need is Cleer, who has a whole line of products that certainly stand out from the crowd. The most distinctive product in their lineup is the Mirage, an Alexa-powered smart speaker. What really sets this speaker apart is that it features a flexible AMOLED screen that wraps around the cylindrical body. On the screen, you can play all sorts of content, including music videos, as demonstrated in the video. In addition to the Alexa control, you can also interact with it using the ring around the top. The bottom of the speaker features an ambient light source, making it a multifunctional device. This speaker is so unique that it was a CES 2019 Innovation Award Honoree. Not to be left alone, the Mirage has a sibling: Connect, another speaker featuring a screen. Unlike the Mirage, however, the Connect has a traditional screen across its front. Connect's screen is adjustable, meaning that you can put it on your bedside table, or any other surface, and adjust the angle of the screen depending on what you are doing and where in the room you are. It also has a camera, so you could use it for video conferencing, making it a good accessory for your office, as well. Adding to Cleer's speaker lineup is the Halo, a unique little pair of speakers designed to be worn around the neck. While they may look like headphones, they are definitely intended to have the option to share your music with the people around you. The speakers have magnets on the inside, allowing you to snap them together for easy storage and transportation. Some of the products featured in the video are available now, while others will be made available throughout the year.